This could be one of the most creative and fun specialist abilities in Call of Duty. As the competitive meta continues to develop in Call of Duty: Infinite Warfare, professional players are innovating new strategies with their specialist abilities. In particular, the FTL Jump ability has recently seen more usage at the professional level. Christopher “Parasite” Duarte gets the map-winning kill using FTL Jump in yesterday’s 2K. FTL is one of the six combat rigs in Infinite Warfare. Combat rigs are the playable characters in this installment of the Call of Duty franchise. Each combat rig has three payloads and three traits, which are special weapons, abilities, or persistent perks that are unique to each rig. A player can only equip one payload and one trait in a match. In competitive play, since matches are four-on-four, each team must use four of the five available combat rigs. When the Synaptic combat rig was banned earlier this year due to its overpowered Rewind ability and “skinny bot” character model, FTL saw increased usage–but lately, it feels like even more players are making flashy plays with the FTL Jump. FTL Jump is the payload for the FTL combat rig, and it allows players to quickly jump or dash forward in a certain direction. 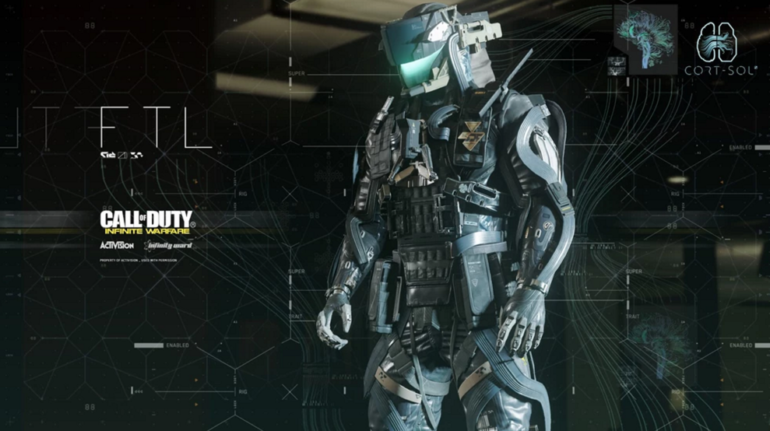 At the beginning of Infinite Warfare, it felt like players would use this ability to either jump into cover to avoid death, or dash ahead of an opening in the map to make it easier for the player to quickly dodge advantageous lines of sight. James “Clayster” Eubanks throws the drone forward and FTL Jumps to catch it. But, FTL Jump has recently evolved into an ability capable of producing highlight reel footage. Players such as James “Clayster” Eubanks and Tom “Tommey” Trewen have been seen using FTL Jump in Uplink to advance the drone even faster than before. If someone tried to FTL Jump with the Uplink drone in their hands, that player would drop the ball when the ability was activated. On the other hand, a player can throw the ball and then FTL Jump forward to regain possession of the drone and bring the player’s armor back to full health, if he took any damage to begin with. Matthew “Formal” Piper gets a clutch kill in round 11 using FTL Jump. On top of these impressive FTL plays in Uplink, FTL Jump has been seen in multiple clutch Search and Destroy scenarios. Players can use the dash to sneak past the opposition when they’re the last person alive on their team, or it can allow a player to get behind the enemy for a crucial kill. Call of Duty fans are surely eager to see more flashy and creative FTL Jump plays over the final seven months of the Infinite Warfare season.